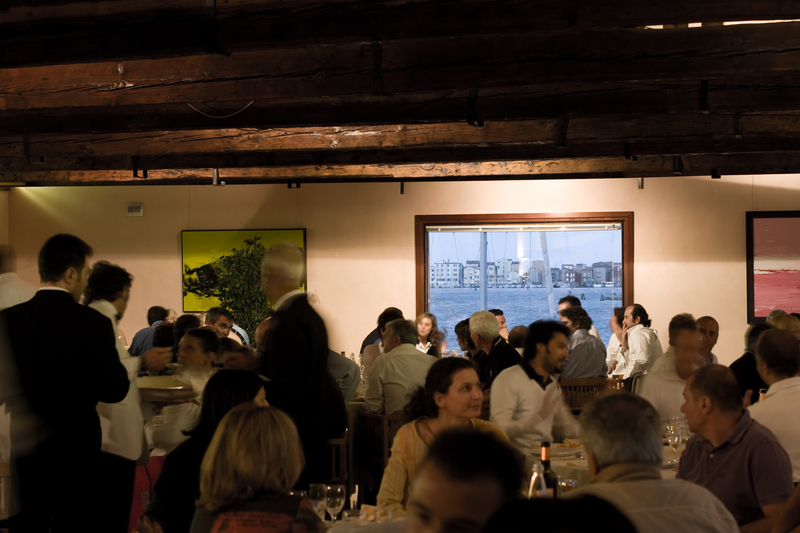 Chioggia, capital of marine and lagoon fishing (fish, molluscs and crustaceans) and horticultural center with typical products recognized at European level (radicchio, white onion, pumpkin …) boasts a culinary tradition of all interest. The restaurant “Le Saline” is located inside our club house, in a truly suggestive location, with a large outdoor garden where you can have lunch and relax in the sun, and in the background the beautiful Chioggia with its houses that are reflected on water. Here Rudy and Grazia, in the food and wine sector for more than thirty years, run the restaurant with care and skill, always attentive to every need of the customer, who try to satisfy in the best way with their kindness and excellent cuisine. Precisely … the kitchen, where the main product is undoubtedly the fish: unmissable “spaghetti with salt”, prepared with mussels, shrimp, clams, stir-fried in the pan at the moment. Note of merit also goes to the wine cellar, with more than 40 carefully selected labels.